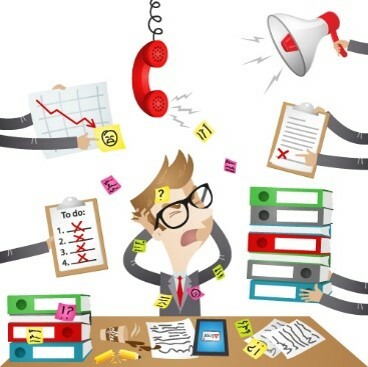 Have you ever wished that you had fewer interruptions at work? We all know that we are more productive when we are focused. However, in some workplaces, it can feel virtually impossible to concentrate on the task at hand. I can definitely relate to this challenge. My first job after college was a full-time sales position in the front-office for the Washington Wizards, a professional basketball team based in Washington, D.C.
As you might imagine, my clients and colleagues loved to talk about sports. Clients would frequently call to discuss the latest team news, and colleagues would often drop by each other’s workspaces to do the same. This definitely made work fun. There are not many jobs where talking about sports can actually be considered part of your job. However, this also made it really challenging to focus and get meaningful work done. Since my compensation in this role was tied to my productivity, I needed to be very deliberate with my time. However, I didn’t want to be seen as an unfriendly. So, I developed some strategies that made it easier to concentrate- without ostracizing the people around me. In this article, you’ll learn 3 practical ways to eliminate unexpected interruptions at work, so that you can get more done in less time too. #1: Wear a headset or headphones. If you work in a position where you spend a decent amount of time on the phone, get a headset, and wear it when you don’t want to be disturbed (even if you aren’t on a call or about to make or receive one). While working for the Wizards, I kept my headset on virtually all day. This wasn’t so that I could pick up the phone whenever anyone called me (see tip #2 below). Instead, this was intended to make my colleagues think I was on the phone (or about to be on the phone), so that they wouldn’t interrupt me unexpectedly. Thanks to this strategy, they rarely did. As an alternative to wearing a headset, you could wear headphones at work. This is a subtle, polite, and effective way to ask people not to interrupt you. Listening to peaceful music can also block out background noise around you and help you focus more intensely. #2: Let unexpected phone calls go to voicemail. Instead of allowing yourself to be interrupted whenever anyone calls you out of the blue, why not make it your default setting to allow unexpected phone calls to go to voicemail? (You can make exceptions for certain people if you choose.) Then, respond to a batch of voicemails at one time every few hours. Just because someone has decided to contact you unexpectedly, that does not mean that you need to drop whatever you are doing to pick up their call. If you want to take it one step further, you could put your work phone on “away,” and you could keep your cell phone off, on airplane mode, or not easily accessible when you want to concentrate. You will be amazed at what happens to your productivity when you do this, and when you don’t respond to emails right away either. #3: Return phone calls strategically. If possible, try to respond to voicemails by email. When a return call is truly needed, be methodical about how and when you call the person back. Let me share a specific example. One of my clients for the Wizards was a man who could shoot the breeze for hours. Let’s call him “Jim.” He was a great guy, but I quickly learned that it was virtually impossible to get him off the phone when we were talking about sports. So, when he called me unexpectedly, I started letting his calls go to voicemail (tip #2). Then, I’d respond to him by email, if possible. If a call-back was absolutely necessary, I would call him 2-3 minutes before the half-hour or the top of an hour (i.e. at 11:27 a.m. or at 11:57 a.m.). I’d start the call by saying something like “Jim, I have a noon appointment, but I wanted to call you back real fast.” This approach is very effective for cutting back on phone time with people who love to chat. Wear a headset or headphones. Let unexpected phone calls go to voicemail.